Maybe it`s possible, but I think that it is very more difficult to implement. The standart way is three arrows and three faces, with unlit materials that render at the top of all other objects, all of these objects are attached to a scene node and so on.. The problem with using a conventional ogre object is that it won't render right with the deferred shading. So we'd have to make our own one that is similar and does the proper rendering steps. But unless the shape of the object isn't known at runtime, it should be ok to create it in an editor and make the mesh file on disk as usual. 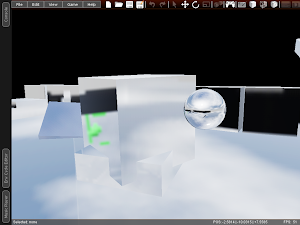 As for rendering, I think setting alpha and emissive will get most of the way there, but it may not be straightforward to disable the depth check. I'll have to look. Oh, and disable shadows of course. Selecting by triangle is hard, given hardware animation is moving the triangles around in ways the CPU would have to reproduce. 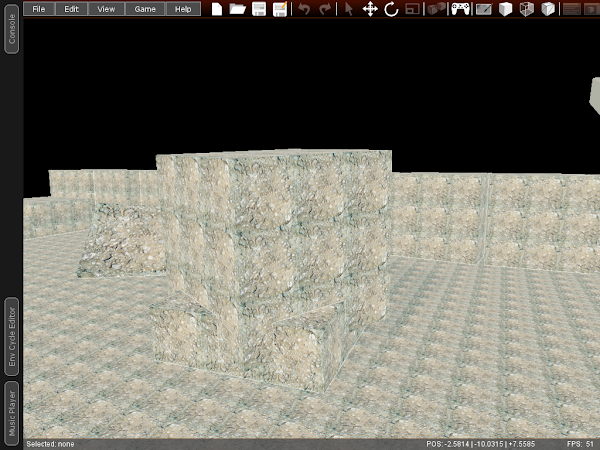 But selecting by physics mesh should be pretty easy. The only tricky bit is going to be getting that 3d vector right. That should probably be a function in the graphics subsystem -- for a given screen co-ordinate, what is the direction vector in world space? 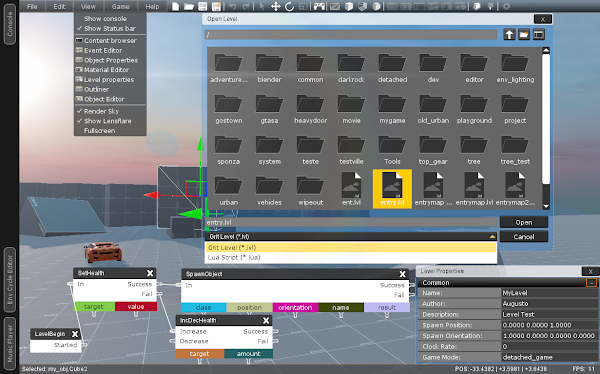 I don't know when, but I want to do a lot more things, also remake the editor core.. The video is how volition (The guys behind Saints row) made the city of StillWater. Anyway - Hope that this is useful. It contains useful things that Grit could use as well as an Inside look on how they make the city. 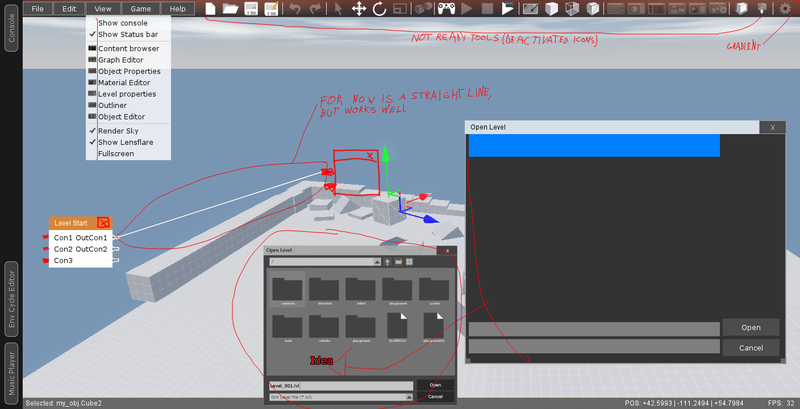 Things such as road tools, Play in editor, etc. Maybe you can add an option for quality (For example, to only show mip-maps instead of full textures+spec+normal maps) Also maybe add an option to disable shading? Have a lettuce for your good work! Last edited by Augusto Moura on Sun Feb 01, 2015 8:43 am, edited 1 time in total. 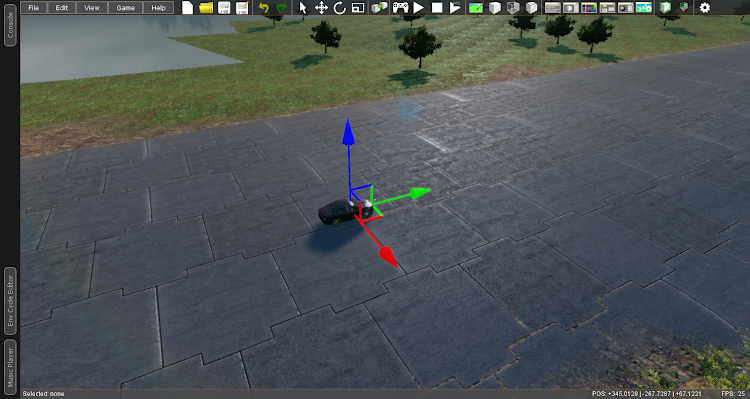 The editor will have a navpoints system for Cars and NPC? I'm working on a game like mafia in Blender and looking for a tool to make my work easier. I don't know coding at all and a build editor is great to use. i'm already working on physical representations inside the editor, like for spawn points, particle emitters, triggers (and of course will have navigation points and navmesh preview)..